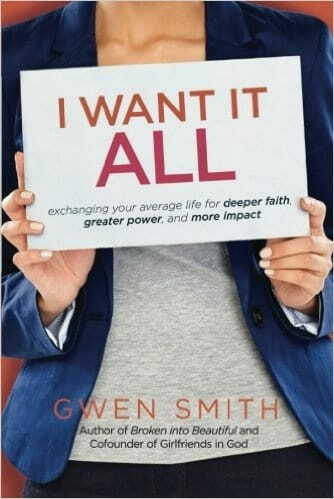 Gwen Smith’s new book, I Want It ALL, is filled with practical help, Biblical depth and applicable lessons. And it includes a Bible Study Guide right in the back. No extra purchases required! READY TO PEEK INSIDE THE PAGES? Download a FREE sample chapter at iwantitallbook.com. Or order yours today from Amazon, Barnes & Noble, ChristianBook.comor your favorite retailer. For a signed copy, click hereto order yours from our web store.